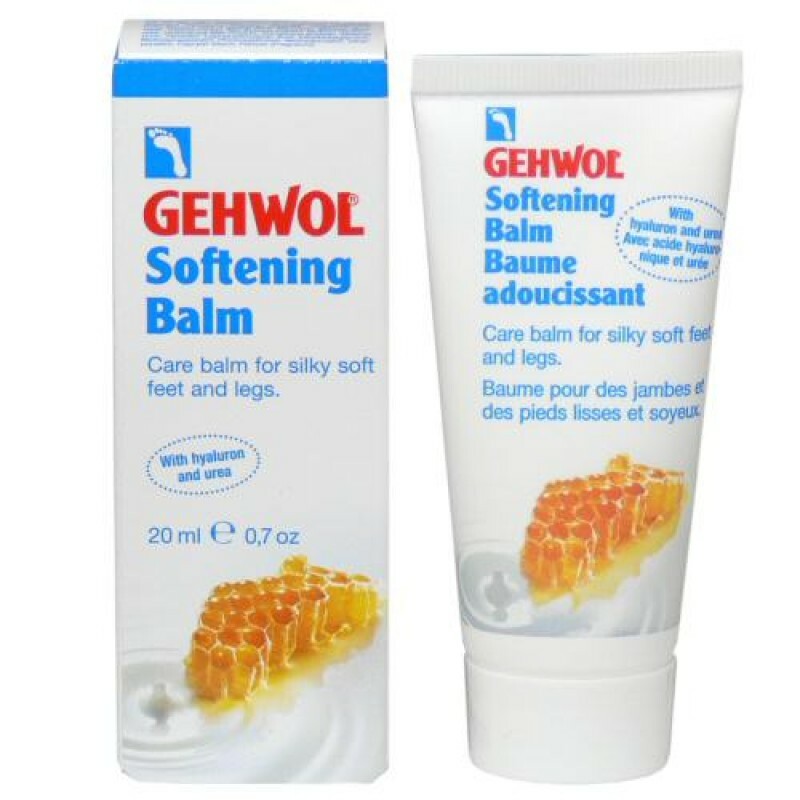 GEHWOL Softening Balm contains deep acting hyaluron as well as milk and honey active ingredients for silky, soft nourished skin. Skin-enhancing lipids in combination with nourishing avocado oil protect the skin moisture barrier while hyaluron and urea soften and bind moisture deep into skin. Milk proteins and honey extract promote a more supple and smoother appeance with daily use. Directions: Apply cream to the feet and legs 1-2 times a day and gently massage into skin.